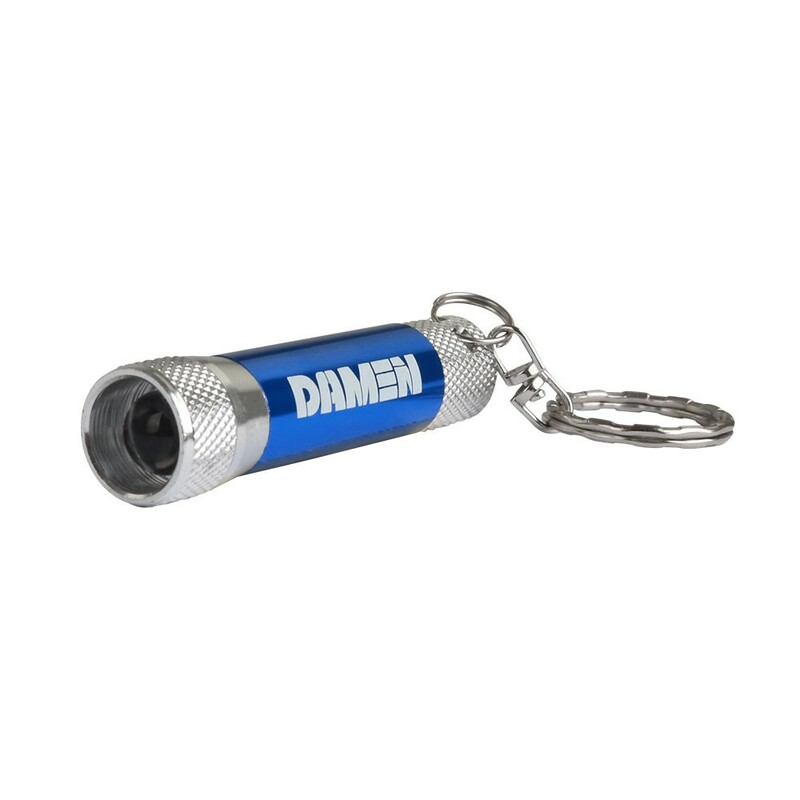 Aluminium blue keychain with bright LED light option. 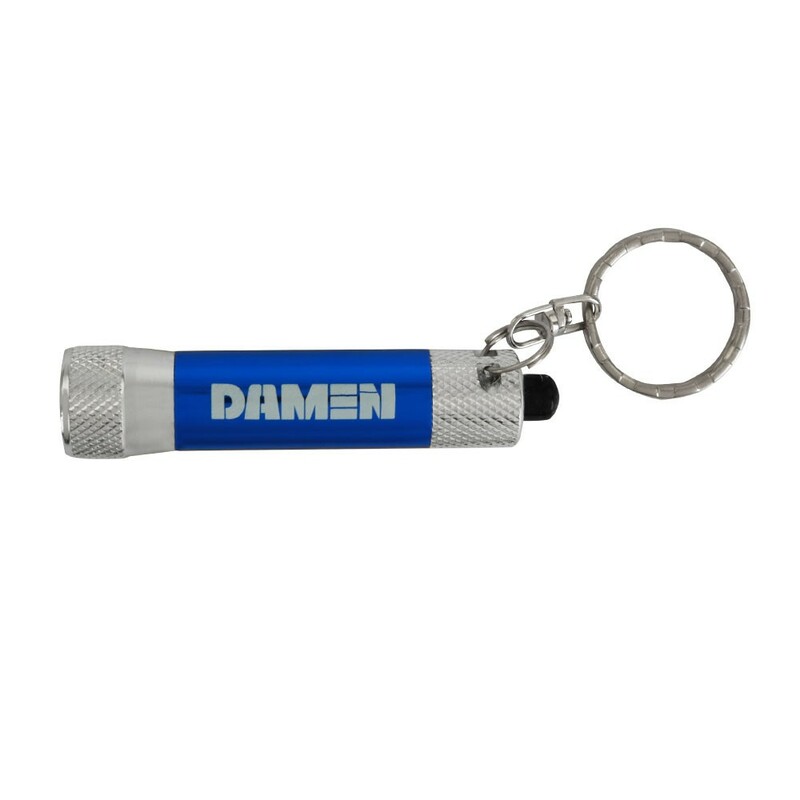 Damen branded at the shaft of the item. Item includes batteries for direct use.